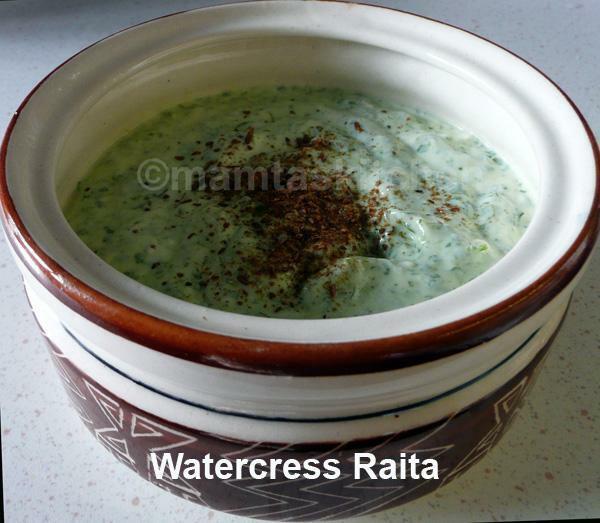 Raita is a yogurt or 'dahi' dish that makes an important part of a North Indian, everyday meal. It combines the cool taste of fresh, chilled yoghurt with various other tastes and textures of salad vegetables, fruits, herbs and a variety of spices. Yoghurt cools down the irritant effect of some of the hot Indian spices, try not to make it too hot. Another advantage of eating Raita with a meal is that the good bacteria contained in fresh yoghurt help with the digestion. In South India, where foods is generally hotter than in the North, natural yoghurt and boiled rice are traditionally served at the end of a meal to calm the stomach down. Dishes like biriyani, pulao/pilaf, khitchri etc. are excellent served with a bowl of chilled raita. Many raitas are suitable for use as small 'dips', but generally served in generous portions with a meal. Be creative. Experiment with different ingredients, spices, herbs, flavours. 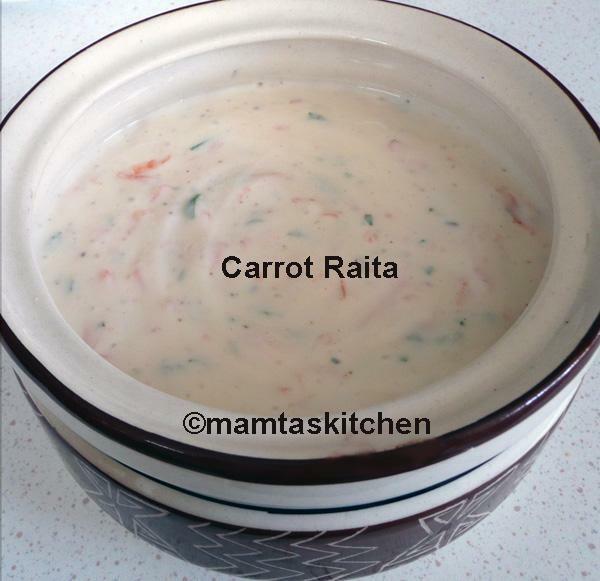 If you have new raita recipes that are missing from this list, and you wish to share them with others, please send them to me via the 'contact' link at the top of this page. 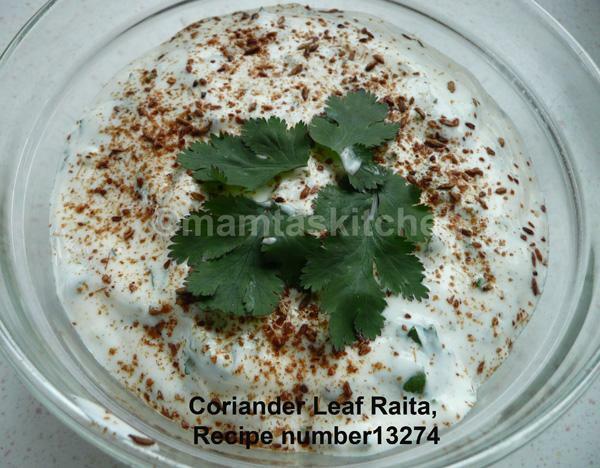 Ingredients are given with each raita recipe. 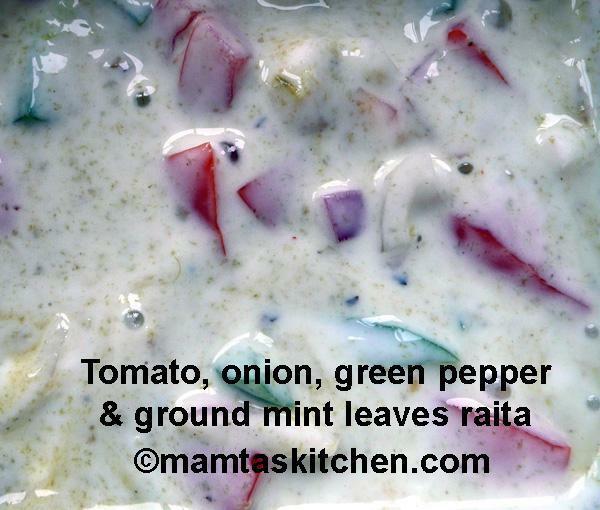 Green Mango Chutney Raita. 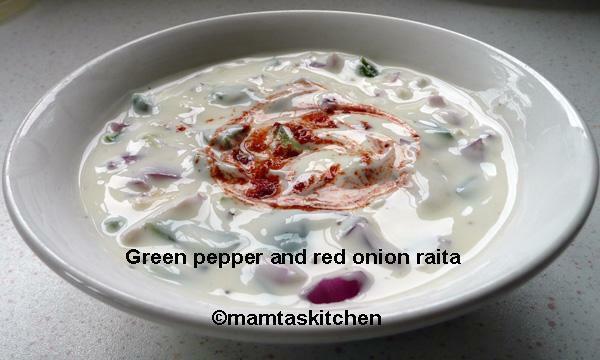 Simply add a little chutney to taste to the lightly beaten natural yoghurt/dahi & adjust seasoning.